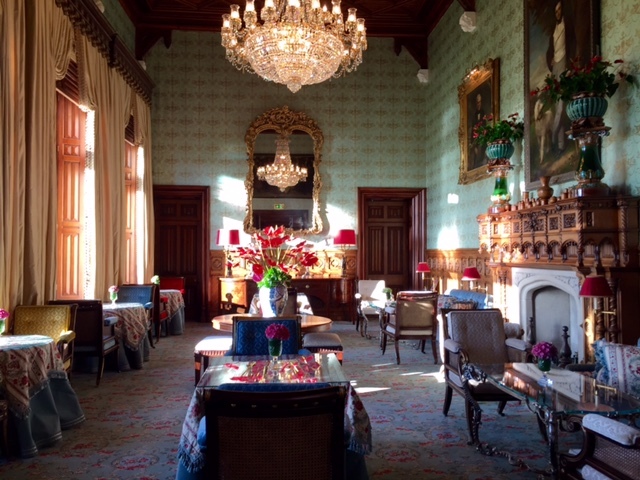 Ashford Castle is so fabulous, it kind of spoils you for anywhere else in Ireland. 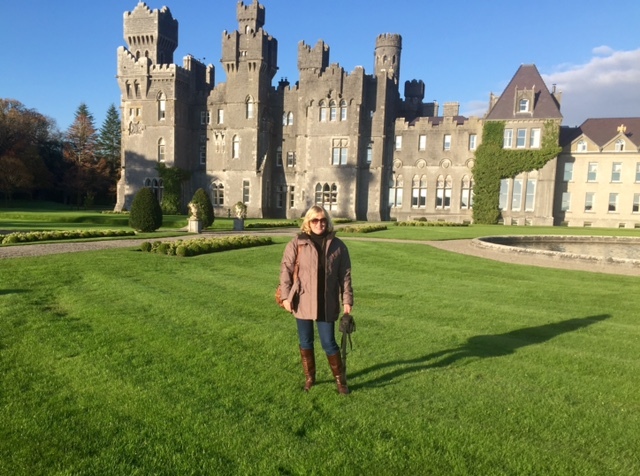 A real castle in every sense of the word, with turrets and fountains and a bridge made famous by ‘The Quiet Man’ movie it's 'the business' as we say in Ireland. In a magical setting on beautiful Lough Corrib, it once belonged to the Guinness family, but its foundations date much further back than that to when the De Burgos first built a castle here in 1228. An extension in the style of a French Chateau, by the Browne family of Oranmore in the 18th century, only added further to its romantic appeal. But it was the Guinness family and Lord and Lady Ardilaun in particular, who extended the property and developed it into a grand country estate, renowned for hunting and fishing, while bringing much needed employment locally in the wake of the famine of 1845. It nows belongs to another dynasty, the Tollman family of South Africa, who own the Red Carnation Hotel Collection. They bought it in 2013 and have since invested a fortune in renovating it to new standards of 5 star luxury, previously unseen in Ireland. Above all though, Ashford Castle’s real majesty is in the outdoors, all 26000 acres of wooded, country estate. 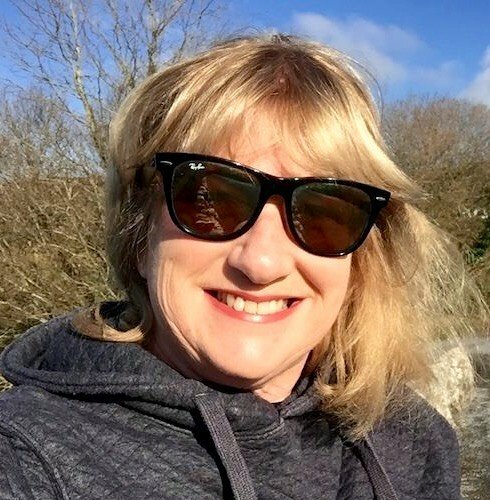 From the manicured gardens surrounding the castle with its tinkling fountain, to the tiered terraces and woodland walks where, if you are lucky you will happen upon a hawk walk. Apart from all the other activities available on the estate, including archery, fishing, clay pigeon shooting, a hawk walk is one of the most unique things you can do in Ireland, as you will never ever forget the first time a bird of prey swoops in from the trees and lands on your gloved hand. 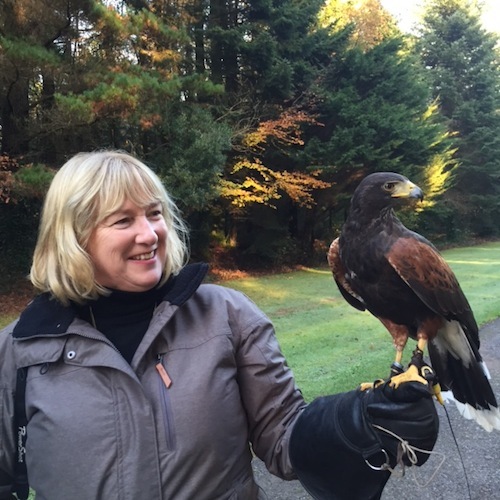 The Irish School of Falconry, the oldest in Ireland is available to take guests out on a guided walk with either a Harris Hawk or if you are very lucky an Eagle Owl and teach you all about this ancient method of hunting. If you have never done this before put it on your Bucket List along with a stay in Ireland’s finest castle hotel, Ashford Castle. Another new addition to Ashford Castle is Mrs Tea's Bakery and Boutique on the grounds just beside the bridge, which is open to non residents and ideal for an excellent cup of coffee and a tasty treat if you are out for a walk or fancy a bit of retail therapy. I picked up some lovely Irish inspired Christmas decorations the last time I was there. 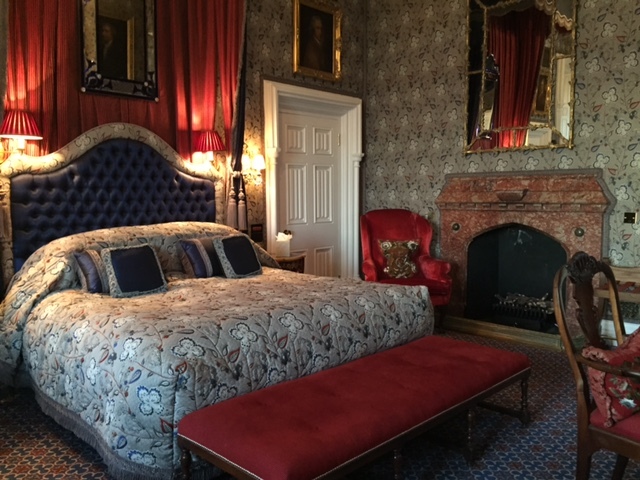 For more information or to making a booking online please click on the following link Ashford Castleor if you might like to take a look at the Lodge at Ashford Castle, another country house hotel on the estate.